It's Labor Day, y'all. And besides doing some light computer work I'm staying away from the labor as much as I can. [Actually out of town for a funeral and chilling in a pretty nice hotel room in Dayton, OH] BUT, I'm still feeling the after-effects from a recent workout. I'm mad sore from squats and burpees and lunges n sh!t. 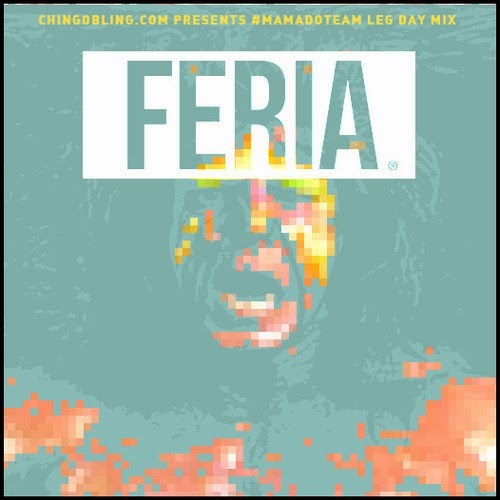 I wish I had Chingo Bling's "Labor Day Leg Day" workout mix then. It has some ill '90s hip-hop from all over. I'm about to use this next workout. I'm definitely not going months without doing it again because this soreness is real. Getting back in fighting shape.